The following is an edited transcript of a webinar on “Inequality in the Holy City: Palestinians, Jews, and Jerusalem” that Partners for Progressive Israel hosted on 5 December 2018. It was edited by Peter Eisenstadt. A recording of this conversation is available here. Gershon Baskin: Founder and former co-director of IPCRI, the Israel/Palestine Center for Research and Information, for 24 years. He currently develops renewable energy projects in Palestine and Egypt. Aziz Abu Sarah: Head of the Al-Quds Lana (Our Jerusalem) Party. He is also co-founder of MEJDI Tours, which offers multiple and dual narrative tourism. HILLEL: On October 30th, we had municipal elections in Israel, including Jerusalem. One particularly interesting question was whether a Palestinian would run in the Jerusalem, which we’ll get into shortly. Gershon: what happened, what were the potentials, the possibilities? its second poorest. That’s because we have a large population of Haredi men and Palestinian women who don’t work. About 39% of the residents of the municipality of Jerusalem are Palestinians who are not citizens of Israel but they are legally “permanent residents” of the state and can vote in municipal, but not national, elections. About a quarter of the population are Ultra-Orthodox (Haredi). The rest are divided more or less equally between those who are considered pluralistic or secular and those who are considered religious or traditional. AZIZ: We are over 40% of the population of Jerusalem but when it comes to the policy of the city, we don’t exist. We are there to pay taxes but when it comes to our rights, we don’t have any. People have lost their residency because of work abroad, study abroad, travel abroad. So we don’t really have permanent residency rights. HILLEL: So, Aziz, tell us about your recent experience in the Jerusalem municipal elections. AZIZ: I wanted to run for mayor but I actually didn’t know that I wasn’t allowed to run because I am not a citizen of Israel. 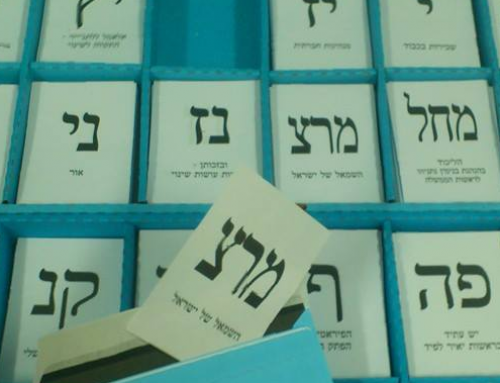 We pay taxes but can’t run for the most important position in the city and this gets treated as “oh, we gave them democracy but they don’t want to vote.” And most Palestinians in Jerusalem don’t even know that they have the right to vote in municipal elections because they can’t vote in elections for Knesset. I wanted to talk to people and be able to educate them, and explain to them that they have the right to vote. People didn’t know where to go to vote. They didn’t receive those cards that say which polling station you can go to. GERSHON: I’ve always believed that Jerusalem needs to be the first issue on the agenda in any Israeli-Palestinian negotiations. Unfortunately, the common wisdom has been always to leave Jerusalem to the very end, and I think that’s a mistake. My approach to Jerusalem is that we need to challenge Israelis and Palestinians with the reality that exists there. Whether we have a one-state or a two-state solution or a ten-state solution, Jerusalem is a bi-national city and the issue of sovereignty is not dealt with at the municipal level. It is dealt with in the diplomatic negotiations that will someday take place to decide what will happen, but within the city we have a mixed population of different groups, the main ones, of course. being Jews and Palestinians. I’ve always believed that we need to find ways of breaching the gaps between us, embrace each other, and work together. Aziz and I got together. 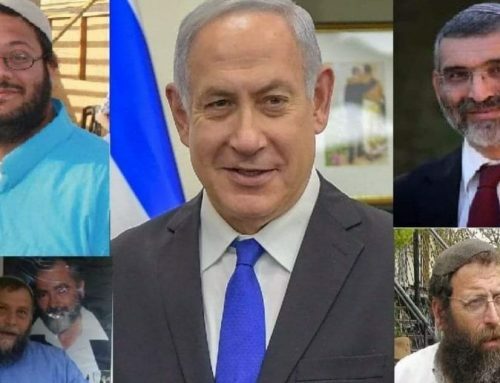 We announced back in April that we were going to try and run a joint list, and then we spent the month of May going around talking to Palestinian leaders. But it was simply too big a gap to jump, after 51 years of Palestinian boycotts of municipal elections, to go to a joint Israeli-Palestinian list. So we announced that it was going to be a Palestinian-only list. It would be run by Aziz, who was going to challenge the Israeli reality and declare that he is running for mayor and planning to go to the Israeli Supreme Court to fight against the law that says that he doesn’t have a right to run for mayor. This is the kind of in-your-face moment to challenge this reality, to challenge the Israeli annexation of the East Jerusalem. The message we wanted to convey was never saying to Palestinians that we accept Israeli annexation or Israeli sovereignty. Those issues are not dealt with on the municipal level. It was saying Palestinians are part of the city, Palestinians pay taxes, Palestinians have the right to vote and they should use that vote. If they do, they could determine the mayor. 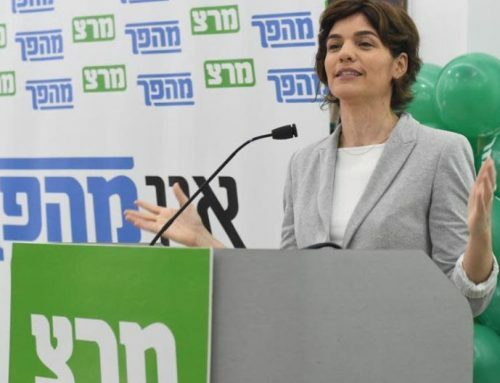 We told people there’s probably going to be a runoff for mayor, a second round, and if there are enough Palestinians who vote in the first round, we could determine who’s going to be mayor of Jerusalem and use that influence to demand attention to Palestinian demands. We had great hopes. We had two public opinion polls that showed 60% of Palestinians in Jerusalem thought it was a good thing to participate in these elections. We knew that if we had a candidate like Aziz running on a nationalist ticket saying that Jerusalem is not an Israeli city, that we don’t accept the Israeli annexation, that the transfer of the American embassy to Jerusalem is not acceptable; then we could get at least 20% of the Palestinians to vote. 1.5% in these elections. It was a huge disappointment for us all. 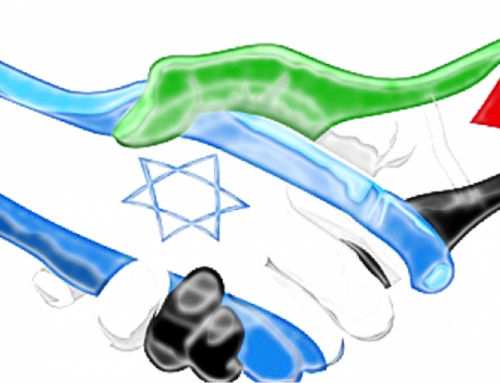 HILLEL: What about civil society in Jerusalem, West and East? To what degree, Aziz, is civil society active in East Jerusalem and is there any possibility of joint activity between Palestinian and Israeli civil societies or at this stage does it have to essentially be parallel work, Palestinians working with Palestinians and Israelis with Israelis. AZIZ: I think we have a lot of work to do. We started a bit too late and we learned a lot from what happened and the issues that we face. And the anti-normalization campaigns makes it much harder for Israelis and Palestinians to work together. Civil society campaigns like this are important. But civil society campaigns can’t replace government. We have 140,000 Palestinians now living outside the wall in Jerusalem; 140,000, that’s about a third of East Jerusalem and civil society isn’t going to be able to deal with that. It needs to be civil society on one hand and it needs to be political work on the other. If you separate the two, you end up losing. I think what we need the most from the civil society in Israel and both sides is a better working relationship: strategizing together, thinking together, who can do what, how can we work together for the betterment of the city? GERSHON: It’s also important to mention that more than 80% of Palestinians living in East Jerusalem are living under the poverty line. Civil society organizations and actions done by civil society are really a luxury in a situation where you’re struggling to put food on the table. There’s a lack of social services, there’s real poverty, there’s a really desperate situation in East Jerusalem. The people are really afraid that they won’t be able to stay in the city and maintain a life here. 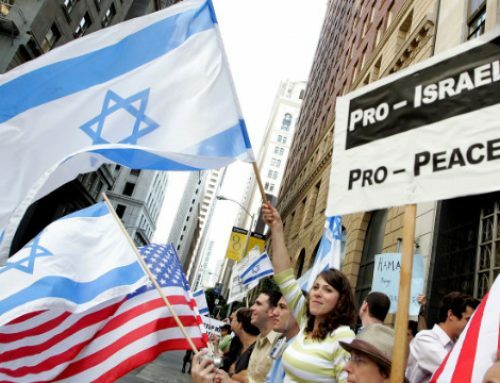 Anti-normalization is a very big issue on the Palestinians side. It seems to me to be completely counterproductive for Palestinians to decide that cooperating with people like you and me and organizations that have worked against the occupation since 1967, that work for Palestinian rights and support Palestinian national rights; that we should be considered “normalizers.” I have never done anything to normalize the occupation we have worked against the occupations. 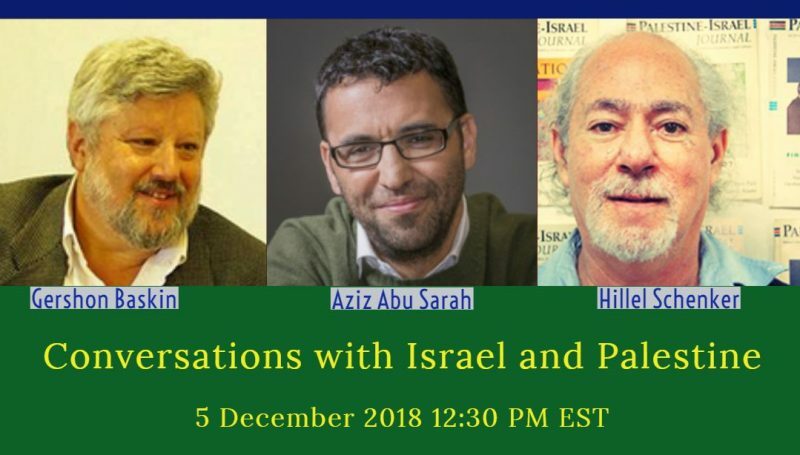 But when people determine that there is a benefit that’s going to be clear, where it’s not just dialogue, not just a bunch of people sitting around talking but actually something is going to come from it that’s going to provide a benefit for Palestinian society, for the economy to create jobs, to give people education and career development, the anti- normalization discussion moves out of the picture. HILLEL: I can’t resist asking you also: are you committed to remaining in Jerusalem? As you know, there are many secular liberal Israelis who are just giving up or going to freer pastures to the coast, to Tel Aviv, Modi’in, or wherever. GERSHON: I love to come and visit Tel Aviv and to enjoy its non-kosher restaurants and have a great time. But I’m not leaving Jerusalem; Jerusalem is my home. There is no place in the world that I want to live more than Jerusalem. AZIZ: That question is really important because Gershon can leave Jerusalem and come back whenever he wants. A Palestinian Jerusalemite does not have that luxury. If my nephew gets a scholarship to go study in the States, he has to think 10 times about accepting it because he might not be allowed back in. You have 80% of people below poverty level, not because people want to be poor, it’s because you’re not giving any chance to succeed. You can’t get any scholarship or any opportunities to go abroad a few years and come back. That’s the reality that we live in and that’s a reality we have been trying to challenge. If really we want to move forward, Palestinians in Jerusalem need to be given a fair chance. Hillel: There is a right wing fantasy that continuing this situation of discrimination and deprivation will, in the end, convince the Palestinians to leave East Jerusalem. Is that fantasy? Is there any basis to that? That’s the government’s goal: to minimize the number of Palestinians in Jerusalem. I expect that from a rightwing Israeli government. What doesn’t make the sense to me is how little the Palestinian government and the Palestinian leadership does to challenge that. Those of us who are trying to challenge it are being called names and normalizers. That’s such BS because if you don’t have an alternative, then let those who have ideas do their work instead of just being armchair critics. We’re dealing with oppression from the Israeli government and we’re dealing with completely being ignored by the Palestinian government and having no opportunities on either side. Hillel: If my statistics are correct, of the Palestinians in East Jerusalem who are working, 40% of them are working in West Jerusalem. I experience it directly because half of the taxi drivers in Jerusalem are Palestinian. GERSHON: It is even up to 50% of the workforce in East Jerusalem that makes their living either in West Jerusalem or in Israel. The per capita GDP in Israel is $40,000; the per capita GDP is something like $5000 or $6000 in East Jerusalem. Anyone who can get a job, who can have the access, will try and work on the Israel side. HILLEL: What about the problems with the Temple Mount, the Haram al Sharif? GERSHON: Let me just relate a conversation I had with the Chief Justice of the Shari’a court in Palestine. I asked him, “Is the problem of the prohibition of Jewish prayer on Al Aqsa from the Temple Mount because of Sharia, because of Islamic law?” and he said, “No, there’s nothing in Shari’a which prohibits a Jew from praying in Al Aqsa.” The problem is political. The problem is one of control. Unfortunately, Palestinians over the years have entered into a period of denial of any Jewish connection to this holy place, which creates greater animosity amongst the Jews who themselves want exclusivity over their holy places. We have this whole issue of Jewish prayer on the Temple Mount. This is something which is going to have to be postponed to a later time. We need to have open access to all holy places for everyone in the world of any faith. A holy place should be holy to everyone. We can have exclusivity but we need to have a regime where we can control these places in a way that’s not going to be bringing conflict between us. HILLEL: I’d like to add here my own personal utopian view is that I would wish that Tel Aviv could be the capital of the state of Israel and Ramallah would be the capital of the future state of Palestine and Jerusalem would be going back to the original partition plan, an international city. Now, unfortunately, I realize that utopian vision is unrealistic because the overwhelming majority of Israelis and Palestinians and the Arab world would not accept that. We have to work out a solution for Jerusalem which will take into account also the national alongside the religious sensitivities of both sides. Last question – Are you optimistic or pessimistic about the future of Jerusalem? GERSHON: Things are changing slowly. It’s important to mention that this semester about 600 Palestinians from East Jerusalem are studying at the Hebrew University. It’s my city, how can I be pessimistic about it? It’s a city with a lot of challenges, a lot of difficulties. Some day people are going to understand like me that the beauty of the city is in its diversity and when, like me, you can celebrate the diversity of the city, you’ll appreciate how wonderful this city is. AZIZ: I don’t know how I cannot be optimistic. I think I’m optimistic because despite everything I’ve gone through with running for mayor and all the opposition and all the government stonewalling, so many people were supporters, so many people on the Israeli side, so many people on the Palestinian side who were supportive and especially the young people, people who told me, finally somebody is giving us an idea, finally there is a vision. HILLEL: Thanks to both of you.